Boca Raton, FL – Boca Raton Football Club is proud to announce that National Securities, the investment banking firm, has joined the club as the main kit sponsor for the 2015 American Premier Soccer League season. From investing for growth or income, to managing accounts for individual objectives, to preserving and passing wealth to desired beneficiaries, National Securities provides a vast array of investment products, services, and solutions. Tom has been a Financial Advisor in Boca Raton since 1987 and deals mainly with local affluent families. 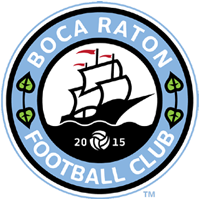 The independent full service brokerage firm which offers professional and individual services has been in the market for over 60 years and are looking forward to a strong partnership with Boca Raton FC. Being associated with Team Boca for over 15 years, and currently the Club’s Boys Representative, Holly is a well-known soccer figure in the city. Originally from New York, Holly played college soccer at Fredonia State University where he participated, and scored in two NCAA Final Fours. In addition to access to a comprehensive array of investment services, located at 2424 N Federal Hwy, in Boca Raton, National Securities has the freedom of choice to tailor solutions for each client. National Securities invests in the quality of soccer here in Boca Raton, as they are also the Gold Sponsors for Team Boca Travel Soccer Club. National Securities will be in the front of all Boca Raton FC home, away, and practice jerseys this APSL season. For more information on National Securities please visit: www.nationalsecurities.com.